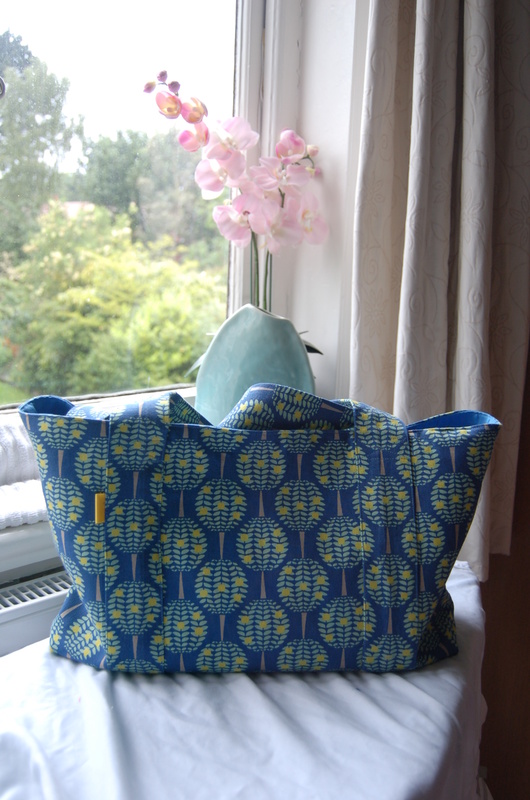 A summery version of the velveteen Amy Butler bag. It’s finished but hasn’t been outdoors yet. Still lurking in the safety of home. Do I really have to carry vegetables? Can’t I stay home? 04 Jun	This entry was published on June 4, 2014 at 12:18 pm. It’s filed under Uncategorized and tagged Amy Butler, Eternal Maker, sewing. Bookmark the permalink. Follow any comments here with the RSS feed for this post. looks like a really useful bag, slightly jealous. I’m still feeling precious about it, one year later. It still hasn’t had a vegetable in it, so not all that practical, really!